The Doctor and his Balloons of Doom are available to provide some wonderful entertainment for families! Check out his site to see if he will be in a city near you! Nov. 11, 2013 - PRLog -- His next stop is Hampton House in Hampton Cove, AL on November 24, 2013! 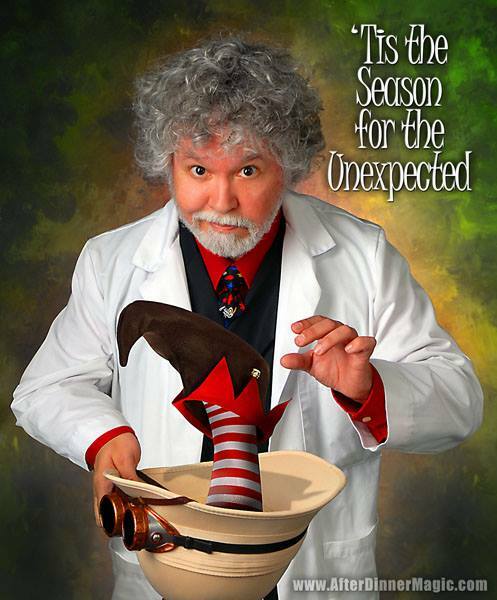 Come out and see Dr Osborn as he dazzles his audience with magic and amuses them with jokes. Good family fun, it promises to be an event to remember. If you cannot see him at Hampton House, perhaps then at Baumhower's of Huntsville, and if not there catch him at the Madison Senior Center. Not sure you can make any of these - his itinerary is on his website so you can plan ahead to see him! His ‘mundane’ life is a mystery, though we do know that he has done some marvelous book covers! See his work at Dark Oak Publishing, on his wife’s (Stephanie Osborn) novels, and also on the November 2012 Issue of the online geekzine Imagyro!